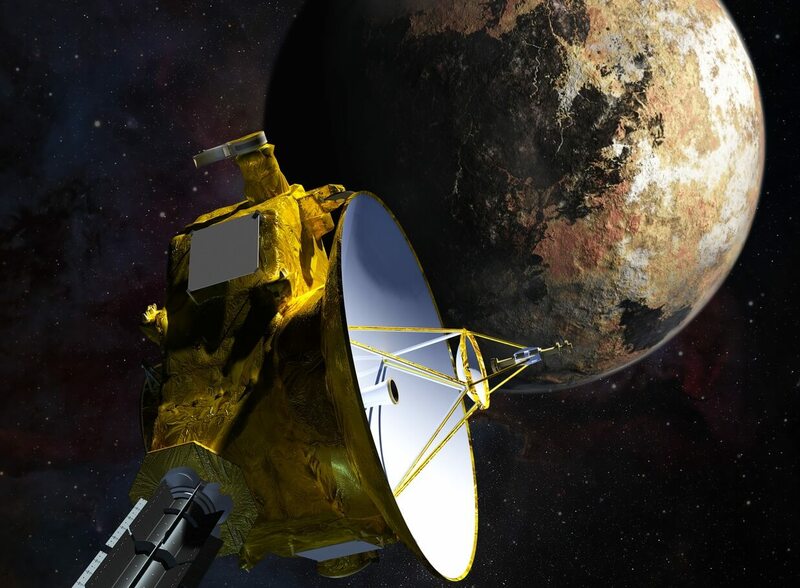 NASA is considering allowing a team of researchers, teachers, artists and engineers to upload an interstellar message to the agency’s New Horizons spacecraft, which will perform the first-ever flyby of Pluto on July 14. This project, known as the One Earth Message, is being led by Jon Lomberg, who was design director for the “golden records” that were placed aboard NASA’s twin Voyager spacecraft before their 1977 launch to teach any aliens that might encounter the probes about humanity and its home planet. Voyager 1 entered interstellar space in 2012, and Voyager 2 will join its twin in this rarefied realm soon. The two probes’ golden records are actual records — 12-inch-wide (30 centimeters) gold-plated copper disks that come with cartridges, needles and instructions about how to play them. The identical records contain 115 analog-encoded images, as well as audio of thunder and other natural sounds, music and spoken greetings in 55 different languages. “We’re writing a haiku, not a novel,” he said. The digital format would allow the One Earth Message to be more flexible, layered and integrated than was possible with the golden records, Lomberg added. For example, the message could be changed over time by beaming more files to New Horizons. It could also include a map of the world, and every picture and every sound could be tagged to the spot from which it came. There’s another key difference between the Voyager and New Horizons efforts: While the golden records carry information chosen by a small committee (which was chaired by famed astronomer and science communicator Carl Sagan), the One Earth Message would be a crowdsourced affair, with contributions from people around the globe. Just as the One Earth Message’s content would be crowdsourced, a chunk of its funding would be too. (The team is not asking NASA to pay for the project.) Lomberg and his colleagues hope to raise at least $500,000 from people around the world via a Fiat Physica campaign, to build and maintain a Web presence and to figure out the best way to program the message. “The total budget is a couple of million [dollars], to do everything we’d like to do,” Lomberg said. People would be able to contribute a certain number of photos for possible inclusion in the One Earth Message for free, he added. Anyone who wants to submit additional pictures would be able to do so, for a fee that would help cover the costs of the project’s website. But there’s plenty of time to work on such issues. The transmission to New Horizons would occur in July 2016 at the earliest, Lomberg said, and it could even be postponed until after the probe flies by a second faraway object in 2019 during a potential extended mission that NASA is mulling. While the One Earth Message is designed to be interpreted by aliens, it’s a worthwhile exercise even if New Horizons zooms through space alone for all of its days, Lomberg said. The project, he stressed, has the potential to get people more excited about the New Horizons mission and space exploration in general — and possibly to bring people around the world together in a perspective-altering experience.